Manufactured in France from 1953 until 1953. 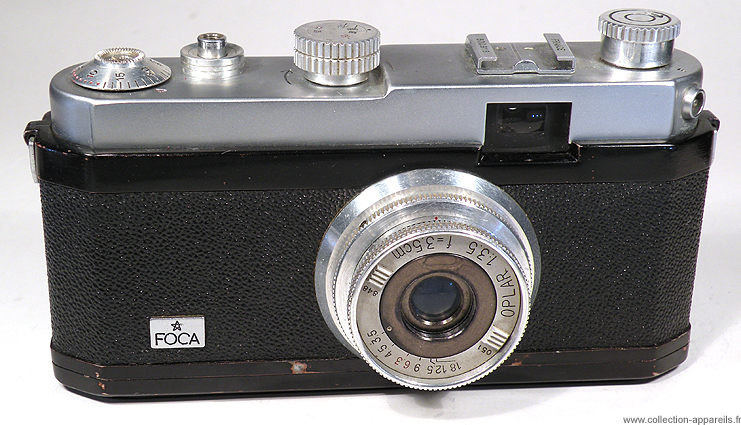 From 1953, the model "PF1" is replaced by the model "Standard". Basically, the device is still technically the same, but the exterior is modified as to justify the name change. The Standard is darker because the rods are painted black. Black paint holds also quite bad, and it is rare to find a specimen of this model without missing parts on the paint. The lever for rewinding the film is removed and replaced by a system using a half way pressure on the trigger button. The serial number is engraved on the accessory shoe.